Sending best wishes to the Paul Laurence Dunbar High School Chamber Choir and their director, Tiffany Marsh, for their performance today at the Kentucky Music Educators Association state conference in Louisville, including Thou Art My Lute. Exsultate was commissioned by the University of Mississippi Choirs (Oxford, Mississippi), Don Trott, conductor. It was premiered on Thursday, October 25, 2018. Thou Art My Lute was commissioned by the Paul Laurence Dunbar High School Choir (Lexington, Kentucky), Tiffany Marsh, conductor. It was premiered on Tuesday, October 23, 2018. 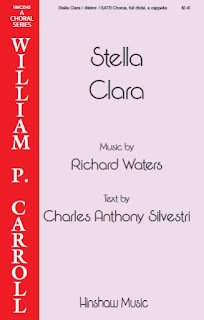 Stella Clara - my setting of the "Star Light, Star Bright" nursery rhyme translated into Latin by Charles Anthony Silvestri - is now available from Hinshaw Music (HMC 2542). 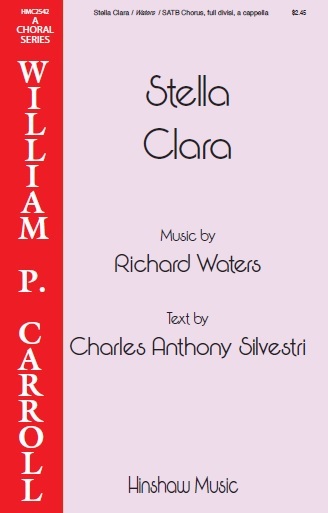 Perusal score and recording are available here. 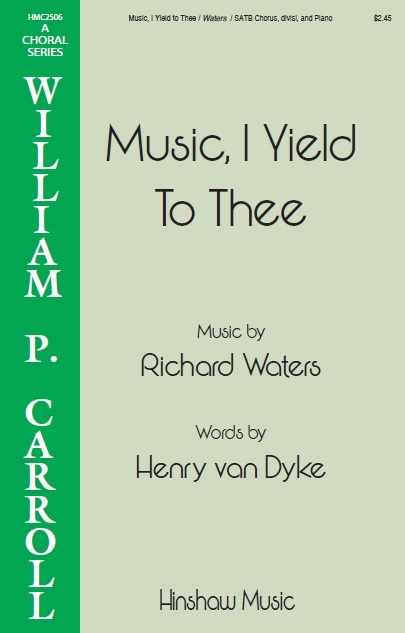 Music, I Yield To Thee is now available from Hinshaw Music (HMC 2506). 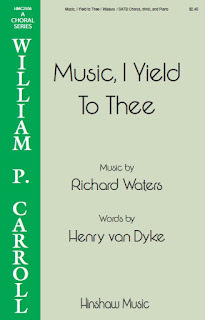 Perusal score and recording are available here.